One of my favourite kinds of emails are those from people who've bought my patterns and then write to show me what they've made with Polka & Bloom patterns. Seriously, SO awesome. Always makes my day! And it only gets better when people take the patterns and really make them their own. Like Cam of Anecdotal Knitting. 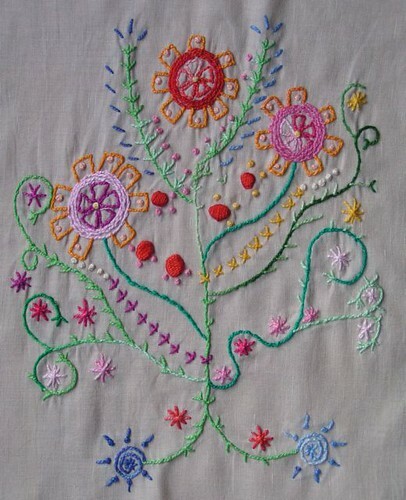 Not only has she used all variegated thread on the Tree of Life pattern, but just look how's she's been inspired to do her own version inspired by the pattern and even a miniature inspired by the pattern. More on Cam's blog. Awesome stuff! Thank you so much for sharing, Cam! 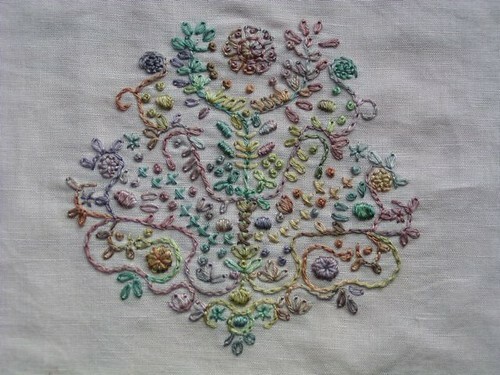 If you've also got some finished Polka & Bloom stitcheries, I'd love to see them! Please email me or leave a comment with a link. 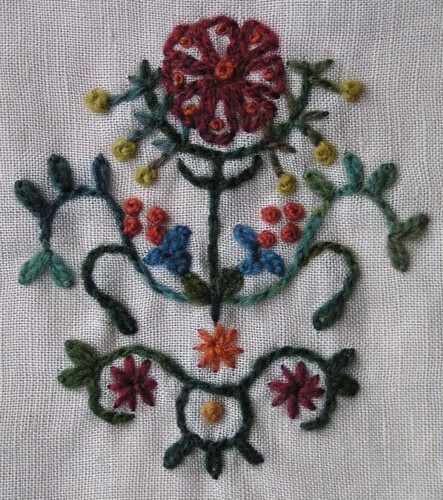 And don't forget you can share your creations in the Stitching Polka & Bloom Flickr group!